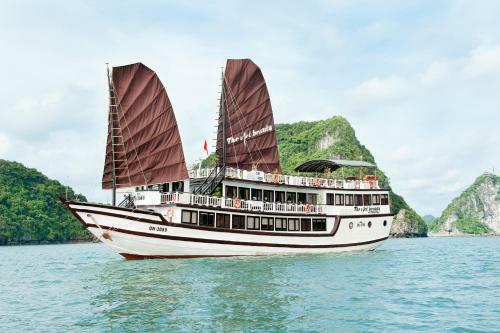 Offering a private restaurant and free shuttle services, The Viet Beauty Cruise is a traditional wooden junk sailing down the scenic Ha Long Bay – a UNESCO World Heritage Site. Free WiFi access is available. 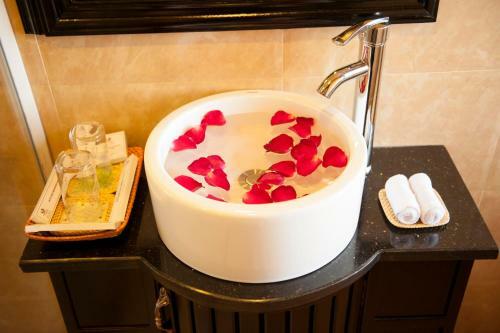 Rooms are elegantly furnished and fully air-conditioned. It comes with a seating area and a writing table. 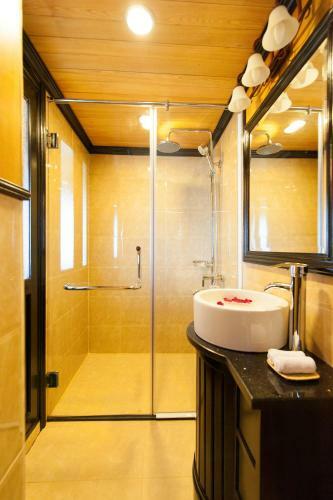 En suite bathrooms include a shower and toilet. Guests can swim, visit local floating villages and kayak in the clear blue waters. The cruise also includes an in-house English speaking tour guide and insurance while on board. The Viet Beauty Cruise is 2.1 km away from Ha Long Night Market. Cat Bi International Airport is 39 km away. 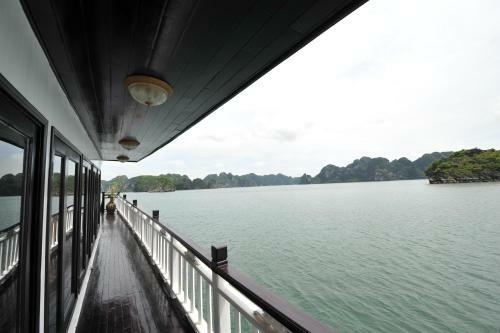 Viet Beauty offers complimentary shuttle services from Hanoi to Halong Bay. International and local dishes are served at the on-site restaurant.